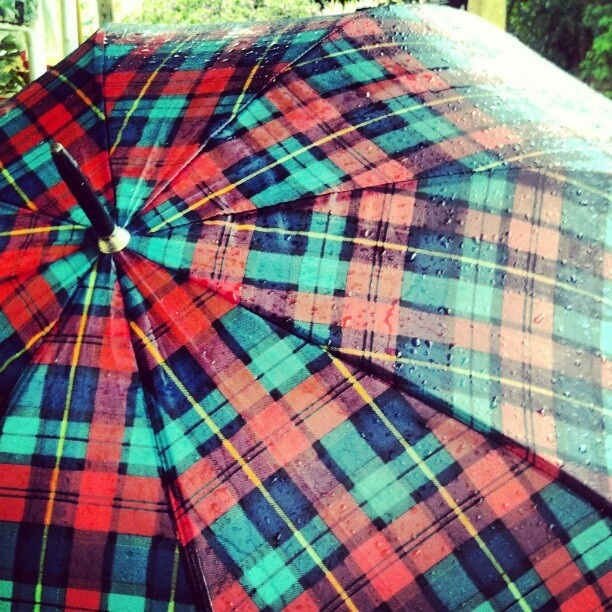 Scotland - Festivals & Traditions - Where in Our World? This is a music festival for children which takes place in January every year. They can go to interactive classical and traditional concerts. Click on the video to hear some of the music. 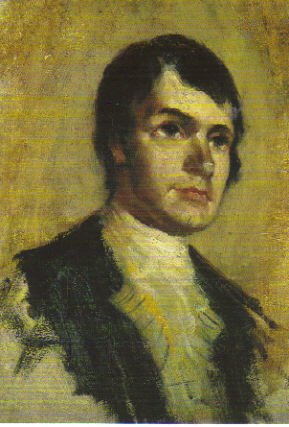 The poet, Robert Burns is celebrated on January 25th. He is Scotland's national poet. The most famous poem he wrote was Auld Lang Syne. This is now sung as a song on New Year's Eve. 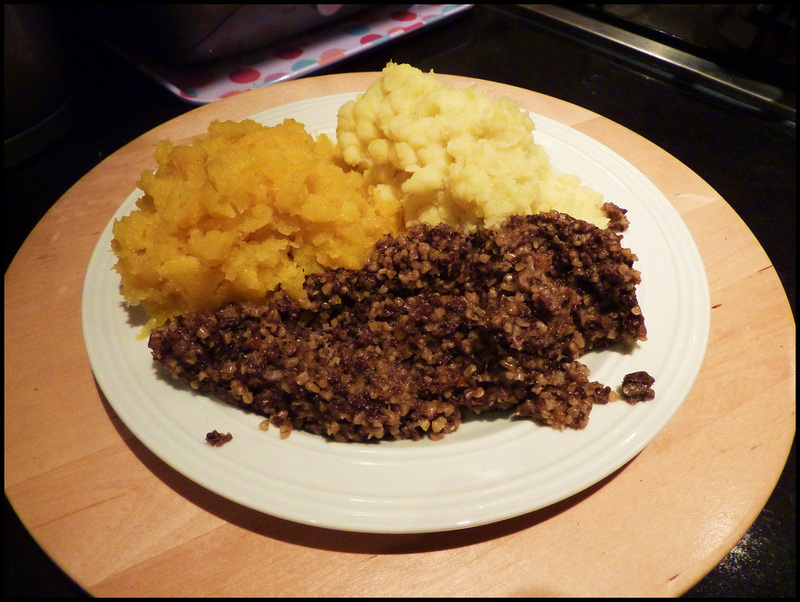 People eat traditional haggis, neeps (turnips) and tatties (potatoes) and recite some of his poetry. 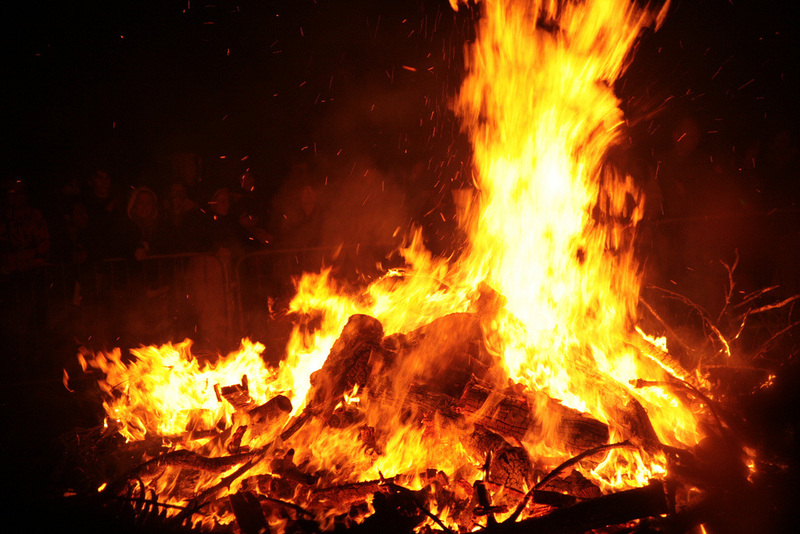 Beltane Fire Festival is celebrated in April & May every year. 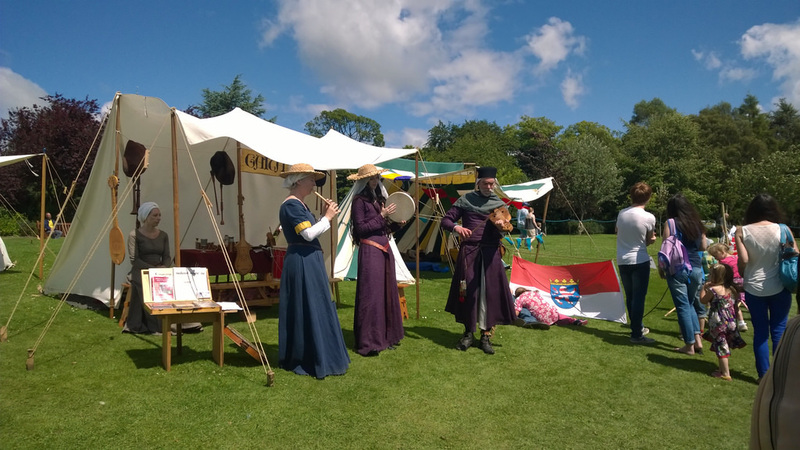 It is a modern twist on an ancient Celtic festival which celebrated the changing seasons. Long, long ago it marked the beginning of summer. The cattle was driven out to the mountains for the summer so that the grass around the homes would have a chance to grow. This way the cattle had fresh grass to eat for the winter. Bonfires were lit because the smoke, flames and ashes were supposed to protect the cattle, people and crops. People jumped over the bonfires. Sometimes cattle were walked between two bonfires. This event takes place in Edinburgh in May. Bands from all over Scotland take part in the event. Click on the video to hear some of the bands. 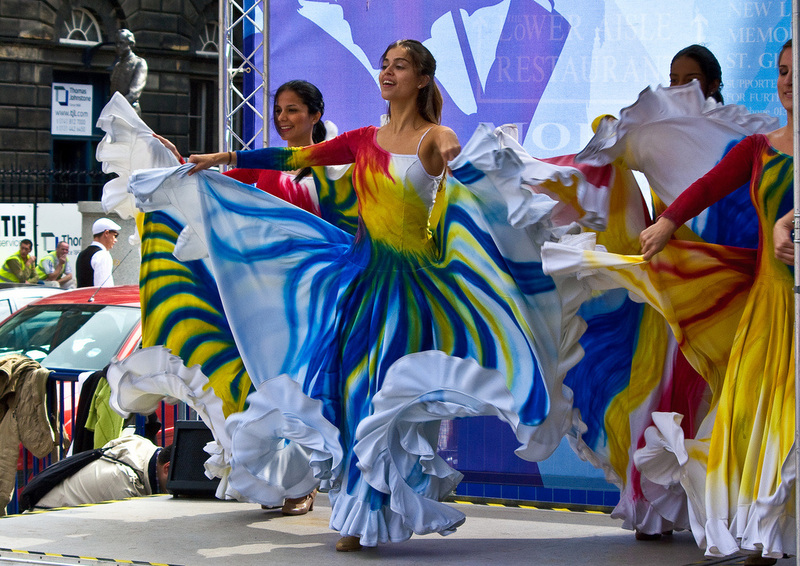 The Solas Festival takes place in June each year. There are all kinds of fun things to do such as learning circus skills, story telling, yoga and puppets. The Edinburgh Jazz & Blues Festival runs in July every year. 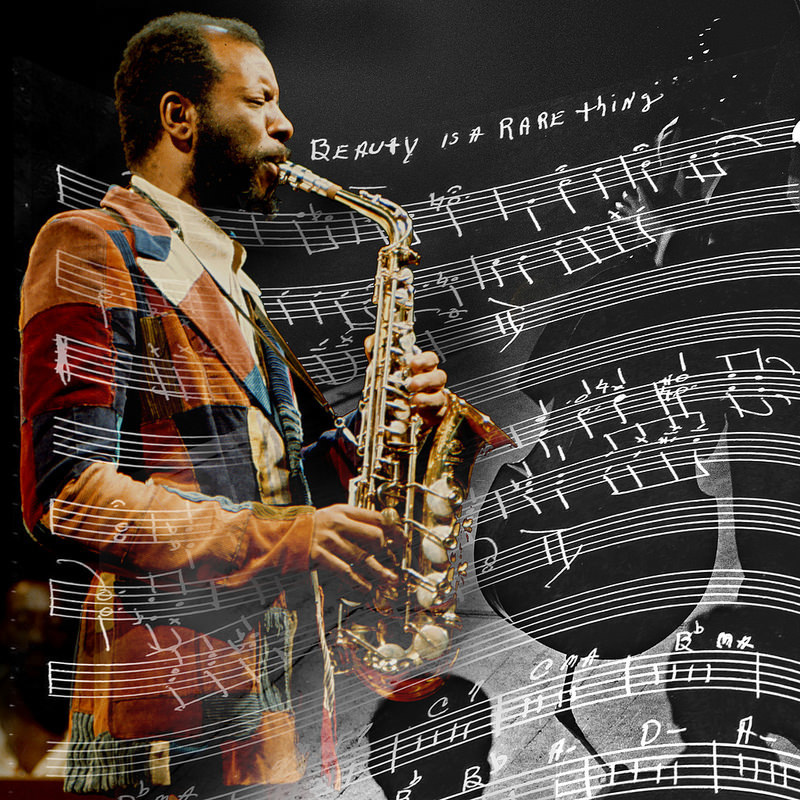 Blues and jazz musicians from all over the world play at this festival. This festival has lots of events for both children and adults. It runs for three weeks during August. There are lots of shows and there are also lots of street performers. Performers from all over the world perform at this festival. As part of the festival there is a carnival parade and some acrobatics in the Botanic Gardens. Click on the videos to see them. Here are two videos from the event. The music is being performed by Scottish pipe and drum bands. Click on the picture above if you would like to see participants from other countries. This event takes place in October and November each year. 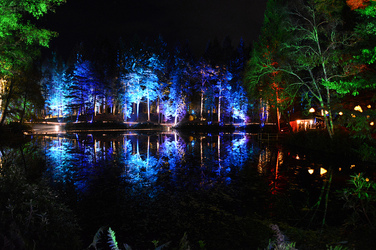 The forests of Perthshire are lit up with a dazzling light show. Click on the video below to see the show. St Andrew's Day is celebrated on the 30th of November. Hogmanay is celebrated on the 31st of January. 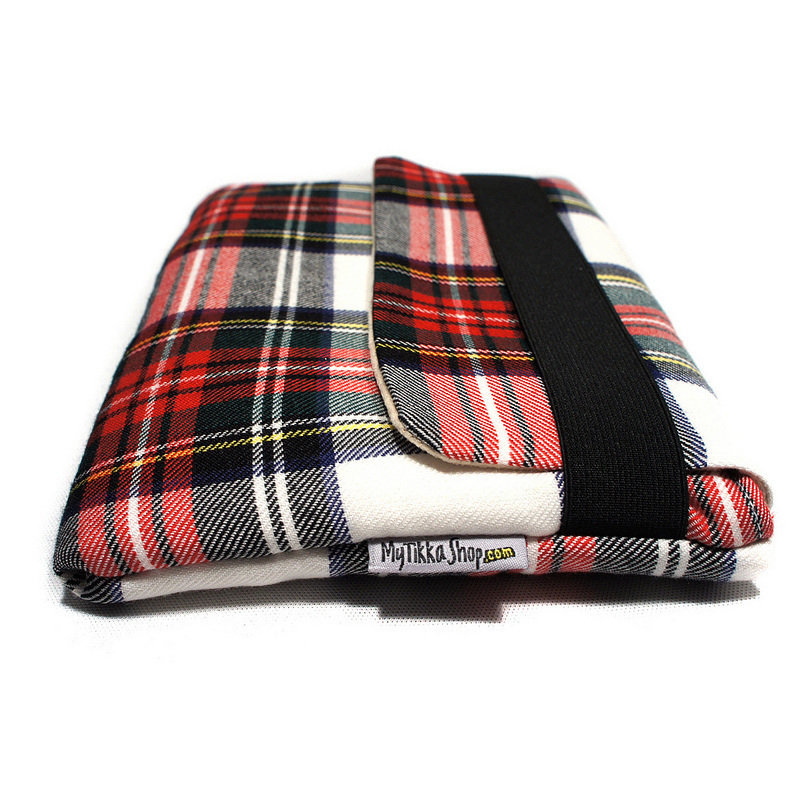 Long ago visitors such as friends or neighbours called with presents immediately after midnight. 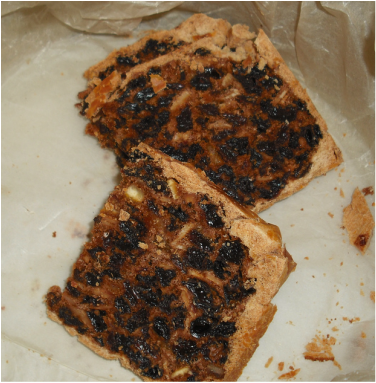 They brought presents such as shortbread or black bun. The visitors were supposed to bring good luck to those living in the house. The visitors were given food and drink. The party often went on till the wee hours of the morning. The favourite visitor on this night was a tall dark man. People sing Auld Lang Syne on New Year's Eve. This song was originally a poem that was written by famous Scottish poet, Robert Burns. 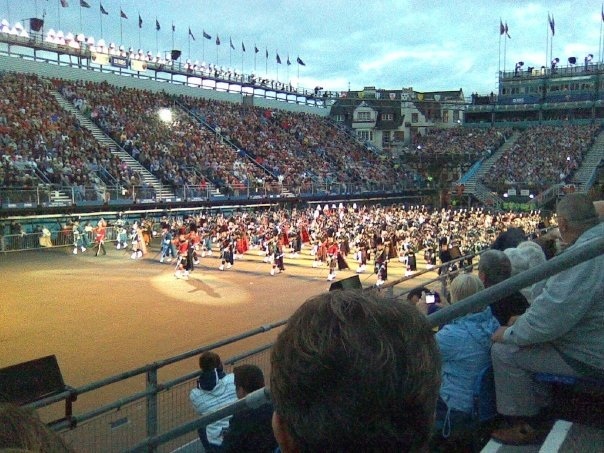 This is Auld Lang Syne being performed at the Edinburgh Tattoo. 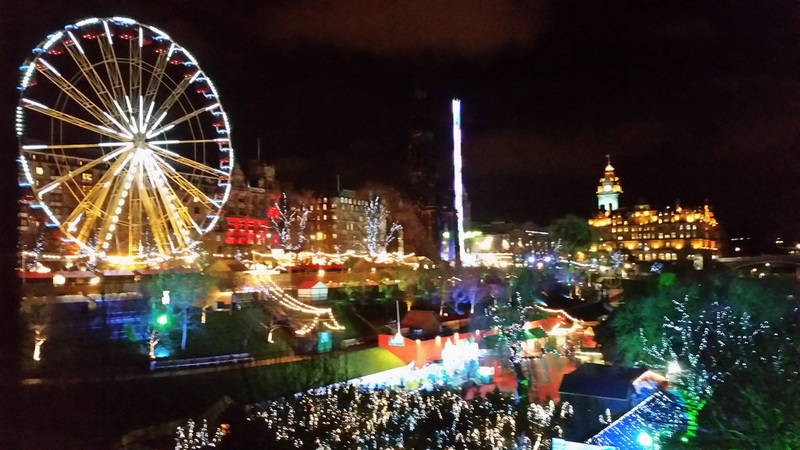 The Torchlight Procession is the official start of three-days of Edinburgh’s Hogmanay events. 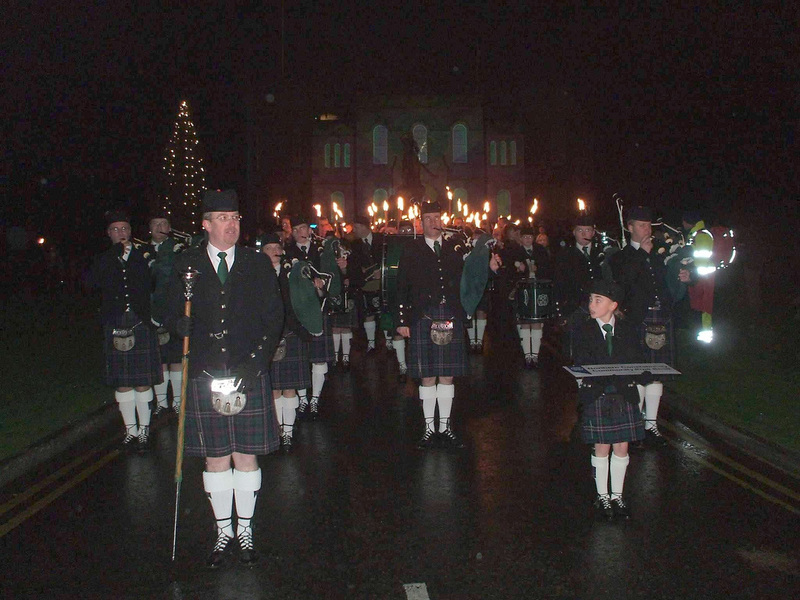 Thousand of torch carriers walk through the city with the pipe & drum bands. At the end of the procession there are fireworks. Click on the video to watch the procession. The bagpipes are a traditional musical instrument from Scotland. 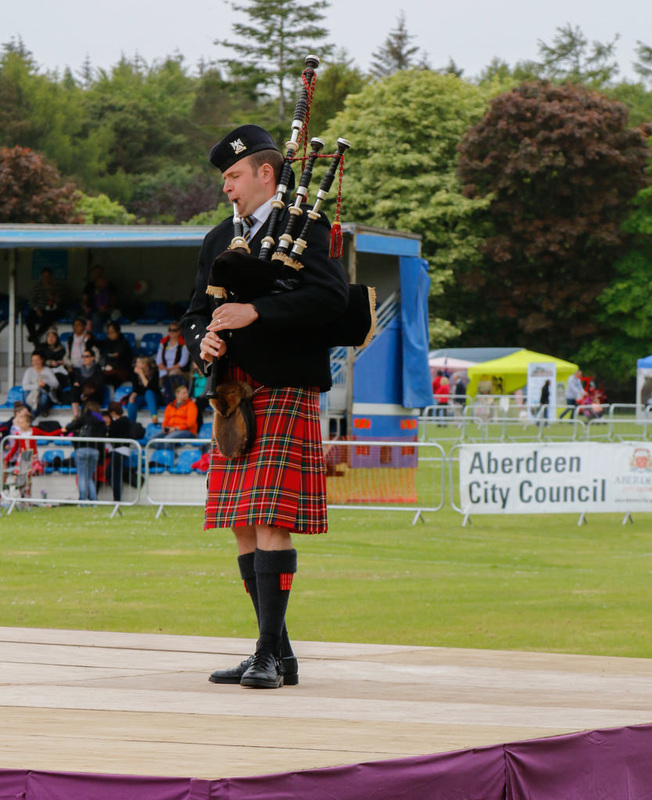 There are lots of pipe and drum bands around the country. They are often played for special occasions and competitions. 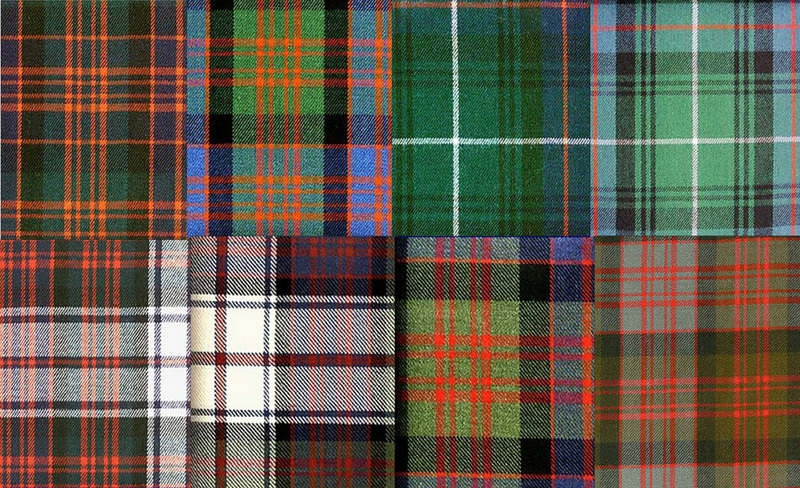 Tartan used to be used to identify people for certain areas but the modern tartans are now to identify people from different clans. 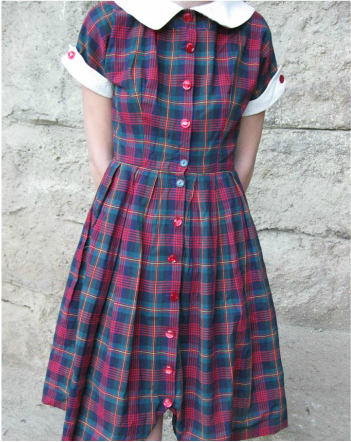 Long ago the kilt was very long. It was wrapped around the body like a cloak. Now it is only worn on the lower half of the body. 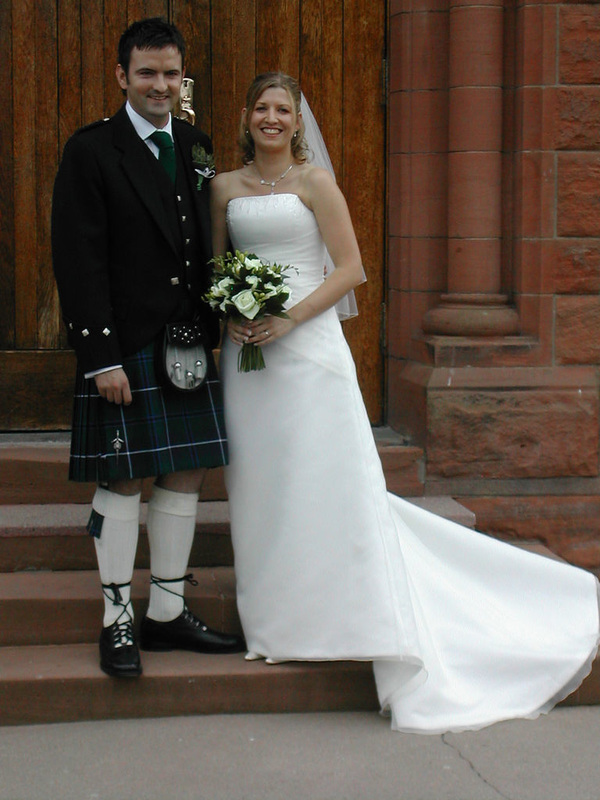 At one stage the kilt was banned in Scotland but it is now common to see kilts worn for special events such as weddings. The kilt is worn with these socks and sporran. Here are some dancers at a competition. 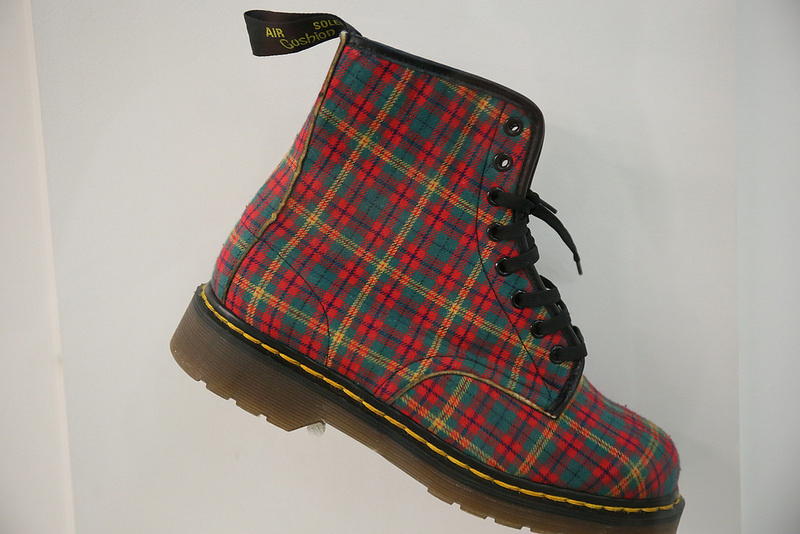 They are wearing tartan costumes. Click on the video below to see some dancing. If you would like to see some more click on the picture below.